Top-quality instructors travel to Interweave Knitting Lab from around the globe to share their knowledge and techniques with you. Each seasoned instructor is committed to leading the kind of engaging and inspiring classes that keep knitters retuning year after year! Get to really know your Knitting Lab instructors by reading more about their teaching styles and why they are so passionate about the fiber arts. Be sure to save your seat in your favorite classes by registering today! 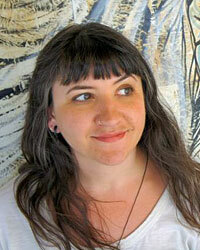 Kate is Knitty.com's Managing Technical Editor, and a seasoned designer and teacher in her own right. Her first book Beyond Knit & Purl was praised as the 21st Century Knitting for Anarchists, and her second book Knit Accessories: Essentials and Variations was published in late 2012 to great acclaim. Her Basic Ribbed Sock is in the top 10 most popular socks in Ravelry, and her "Bigger on the Inside" shawl caused a minor sensation when it was released in the spring of 2012. She regularly teaches at stores and events across North America, including Interweave Knitting Lab and Vogue Knitting Live. Her work has appeared in many books and magazines. 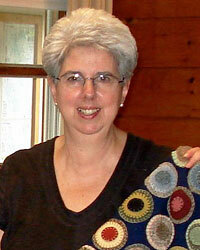 Anne Berk was certified by TKGA as a Master Knitter in 2003. As a knitting instructor, she has taught on subjects ranging from Argyle knitting to Zipper insertion. Anne has designed for yarn companies including Blue Moon Fiber Arts and Simply Socks Yarn Co. Interweave released her two instructional DVDs on the intarsia technique - Inside Intarsia and Intarsia InDepth. She has written patterns and articles for many publications, including Piecework, Sockupied, ColorKnit and Twist Collective. Her instructional book on intarsia technique, Annetarsia Knits will launch Spring 2014. 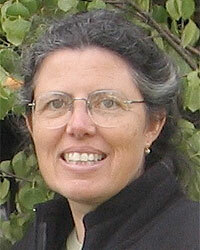 Anne is also an optometrist in private practice in Portland, OR, and is a distance runner. Beth Brown-Reinsel has been passionately teaching knitting workshops nationally, as well as internationally, for over 20 years. Her book Knitting Ganseys has been deemed a classic. She completed her first DVD Knitting Ganseys in 2010 and is currently working on another one, Color Knitting. She loves to prowl the storage section of museums around the world to look at old knitted things for inspiration for her patterns and classes. Her articles and designs have appeared in Threads, Cast On, Interweave Knits, Knitting Traditions, Piecework, Shuttle, Spindle, and Dye Pot, Vogue Knitting, and Knitters magazines. She continues to design for her own pattern line, Knitting Traditions. She lives in Vermont and loves winter! Nancy Bush found her way to traditional knitting and uses of ethnic patterns via a degree in Art History and post-graduate studies in color design and weaving in San Francisco and Sweden. She has contributed articles and designs to numerous magazines and knitting publications and is a member of the editorial advisory panel for PieceWork. She teaches workshops in the United States and abroad, and runs The Wooly West, a mail order yarn business in Salt Lake City, Utah. She is the author of Folk Socks (1994), Folk Knitting in Estonia 1999), Knitting on the Road (2001), Knitting Vintage Socks (2005) and Knitted Lace of Estonia (2008), all published by Interweave. Lily M. Chin is an internationally famous knitter and crocheter who has worked in the yarn industry since 1981, as a designer, instructor, and author of books on knitting and crochet. 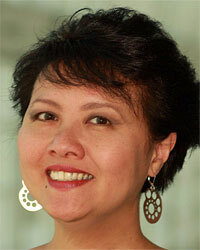 Author of seven books, Lily teaches extensively around the world. She now has several instructional DVD's out, distributed by Interweave. She has created looks for the New York Fashion Week runway collections of designers Ralph Lauren, Vera Wang, Diane von Furstenberg, and Isaac Mizrahi, and her work has been on the backs of celebrities and super models. She was named a "Master Knitter" by Vogue Knitting. She is regularly cited in media across the U.S., including the Late Show with David Letterman, Martha, CBS Morning News, CNN, HGTV, and more. Lily Chin has lived in New York City all her life and has been involved in some aspect of the fashion industry since age 13. Donna Druchunas escaped a corporate cubicle to honor her passions for knitting, world travel, research, and writing. She is the author of six knitting books including Arctic Lace, Successful Lace Knitting, Kitty Knits, and Ethnic Knitting Exploration: Lithuania, Iceland, and Ireland. 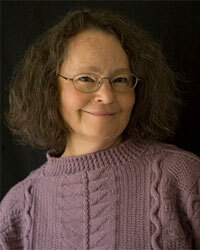 Donna also writes regularly for Piecework magazine, and has a column on ethnic knitting traditions on Knitty.com. 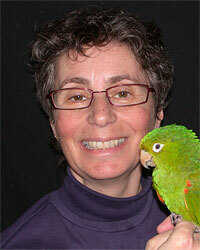 Donna also gives talks and teaches knitting workshops in the United States, Canada, and Europe. She has just finished writing a book about knitting in Lithuania, and her new pattern line, Stories in Stitches, features historical patterns and essays. She lives in Vermont with her husband, mother, and three cats who all help her test the usability and comfort of her finished knitted items. Candace Eisner Strick has immersed herself in music and knitting most of her life. Now retired from 16 years of teaching cello, she concentrates on designing, writing, and teaching knitting. Her newest book, Strick-ly Socks, features a revolutionary and amazingly simple way of knitting socks. She is the author of six other books, has been published in numerous magazines, and has taught nationally and internationally since 1998. 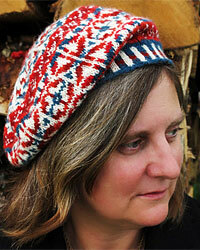 She is the creator of her own line of yarn, Merging Colors, and her own line of patterns under the name of Strickwear. Candace's students say they not only love learning from her classes, but thoroughly enjoy her sense of humor as well. Rose Ann Hunter has been a fiber artist for over 35 years. She is craft person in residence at Old Sturbridge Village in traditional rug making 1790 to 1850 and has adapted over 30 techniques which are knitted, crocheted, or sewn into folk art and also art to wear. She was also artist in residence at the Grand Balsams Resort Hotel and taught people from around the world and brought them together with fiber. 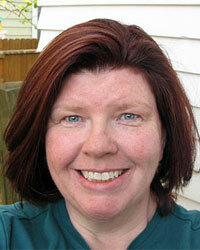 Annie writes, knits, designs and enjoys the long winters in St. Paul, MN, with her family and assorted pets. The author of numerous books of knitting patterns, Annie knits using the Combination knitting method and believes there is NO wrong way to knit! Daniela Nii is a proud multi-crafter who has learned to knit, crochet and sew over 30 years ago in elementary school in Switzerland. With every project she likes to learn something new, adding to her diverse range of techniques to produce designs that highlight simplicity and elegance. 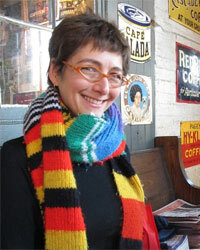 Her designs have been published in major knitting and crochet magazines such as Interweave Knits, Knit.Wear, Crochet, Vogue Knitting, Noro Knitting Magazine, and Twist Collective as well as for yarn companies like Shibui Knits, Kollage Yarns, Universal Yarns, and the Alpaca Fiber Cooperative of North America (AFCNA). She also works as a freelance technical editor of knitting and crochet patterns for Interweave, Craftsy and independent designers. She is also the founder of www.LocalFibers.com, an online US and Canadian fiber resource directory to connect local fiber producers with fiber enthusiasts. 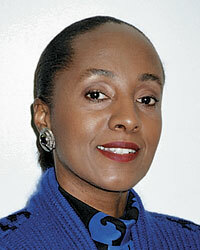 Shirley Paden is the author of Knitwear Design Workshop. She is also an internationally recognized hand knitwear designer. Her designs and articles have appeared in Interweave Knits, Interweave Crochet, Vogue Knitting, Knitters, Family Circle, and Knit it! magazines. She has also designed knitwear for several of the leading yarn companies. She has been featured on HGTV and Knitting Daily TV, as well as in designer interviews in all of the leading American Hand Knitting magazines. She was also featured on the list of “Who’s Who in North American Knitting,” in the British Magazine The Knitter, and the 2011 featured American Needlework Designer at the Danish Needlework Fair in Middelfart, Denmark. 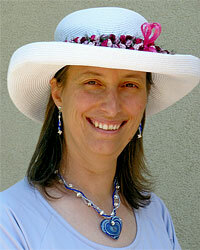 She has taught and lectured on various aspects of hand knitting and crochet locally, nationally and internationally. Shirley is also the owner of Shirley Paden Custom Knits located in New York City, where she is the Designer of an exclusive line of custom hand knit clothing. Alasdair is a lifelong crafter and teacher who has been double-knitting since about 2003 and has published a critically-acclaimed book entitled Extreme Double-Knitting. He continues to push the limits of double-knitting and currently designs under the moniker "Fallingblox Designs". 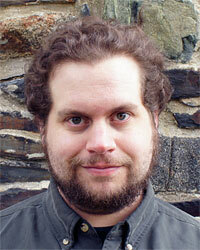 He lives in Cambridge, MA, with his wife and cat. 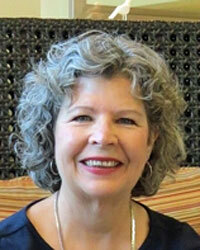 Nancy Shroyer knits, spins, weaves, dyes, designs, teaches, and invents in Cary, NC. Nancy's philosophy is to make working with fiber easier for everyone. She has found many shortcuts, techniques and formulas that can save time and anxiety. This has led to her to develop Nancy's Knit Knacks, whose products are sold worldwide. Mercedes Tarasovich-Clark is a knitwear designer, writer, and teacher based in Birmingham, AL, known for stylish and feminine designs. She has designed for many yarn companies, books and magazines, including Classic Elite, Malabrigo, Interweave Knits, Knitscene, Twist Collective, and Knitty.com. Interweave released her instructional video/DVD, Brioche Knitting Basics, in 2011. 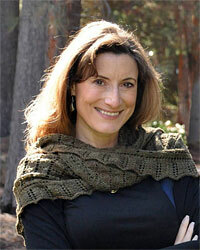 She has also taught online with The Seamless Artemisia Sweater Class for Craftsy. 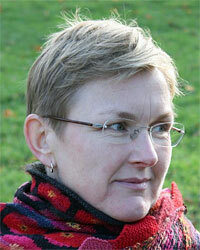 Andrea has been successfully teaching the Portuguese Style of Knitting around the country and abroad for 10 years now. She has published one book and three DVDs on the subject.